This question should apply to anyone one with the automatic awning. 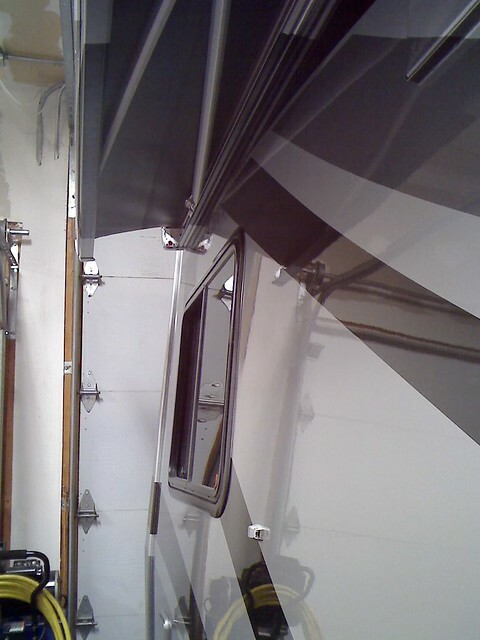 I picked up my motor home on 6/28 and was told during the walk through that because of the curved side wall the awning may require a push with the hand when attempting to opening it. So far every time I open the awning I have to give it a push at the same time I'm pushing the awning button, otherwise it gets stuck a few inches from it's normal closed position and starts to unroll. I have to then roll it back in and make sure I give it a push as it starts to deploy and then its fine. Anyone having this issue? The way it was explained to me it sounded like this may be a common issue. I don't recall this in the brochure or being talked about in any of their videos. I have a 2017 2552 and have never had to even look sideways at the awning, runs in and out without a hitch. Maybe yours needs some adjustment? On my 2016 2552 I frequently have to give it a little nudge to get it past top dead center (vertical) when it will unfurl on it's own. If we anticipate rain we will level with the driver side being slightly low so that water on the slide will run away rather than toward the coach. By doing this it hinders the awning a little more from self unrolling requiring the nudge to get it started. I am not sure where you awning switch is located on the 2910 but on the 2552 it is convenient to actuate the switch and at the same time give the little nudge to get it over past vertical. Earl mentioned that when we picked up our unit and it is now just my standard routine and not a problem. I also believe the slope of the PC side walls by not being vertical causes this rather than an awning adjustment problem. Yep. . .we mostly have to do the same with our 2012 PC2400 Sprinter. I wasn't sure if I was the only one who had this happen, but now I know it isn't too uncommon. Sometimes our awning will deploy properly without a nudge. . .I think our stored position is just at the vertical. It could be that if we are slightly low on the passenger side, the awning will open on its own, the laws of physics being what they are. Same with us. Sometimes it rolls out without help and sometimes not. I watch while I hold the switch and just reach up and nudge it. I don't roll it back in first but since I'm watching, it doesn't unroll much before I push it. We hear the metallic "pop" as the awning bars release from the railings mounted to the rig so I think that tension holding the bars is what causes it. Same thing with our "old" 2016 2351 and also with our two day old 2552. Just the way it is. Mine hangs up on the front side, and makes a clunking sound when it breaks loose. Never needed any assistance. Tried to see what the difference is between front and back, but so far not seeing it.. Thank you all for your input, I appreciate it. Well, really? This thread disappoints me..... over $100K and the awnings don't work right? I think I'll ask about a different brand or have one installed elsewhere after buying. Phoenix used to install the manual crank-open box awning until around 2009, maybe 2010. 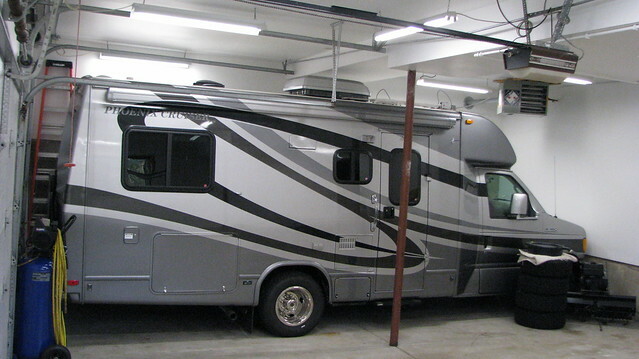 We have the box awning of which is still offered on other motor homes and travel trailers today. It is used most often on entry level rigs because of it's affordability. Our box awning doesn't compare to the ease of opening and closing of the current-day motorized one, especially considering the hassle we deal with messing with our self-storing swing-arm-poles. But it is clean when stored-away. We have no vertical tracks, just the awning above in a stylish box. The long crank handle is stored in the entry door jamb, clipped into place. I cannot say our box awning is better or worse. Each awning has it's pros and cons......much the same argument in having a slide out or not. Here is our box awning. We often open it a foot or so without the poles without a fuss to offer rain protection and some sun-shade across the passenger side windows and door. There is a limit as to how far it open without poles because the more you open it, the lower it sags to the point of interfering with the swing of the entry door. Bob at PC put a foam block somewhere in the support channel to not allow the awning to close so tightly and did help for a few uses but we're back to pushing it out. Price we pay for curved sidewalls and not so boxy look. Interesting remedy, even if only for a few times. I wonder if the manufacture of the awning offers a spring or something as a permanent solution. It seems worth a call to ask. We were advised that to open the awning we need to move one arm out slightly and that has always worked. Unless you are tilting to passengers side it does not move out on it own. It works well and is a big awning so it gives a nice shade. The light string under it is a blessing in a lot of parks which have little or no outside light. We ordered our 2350 without an awning due to the large arms that were going to interfere with our rear swing storage/BBQ box. We will put an awning on like yours. Can you tell us the manufacture and model, and length? I'm also curious can the legs be lowered to accommodate harsher weather, and can the awning function partially extended(other than your picture)?